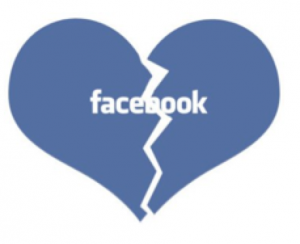 Just how powerful is the relationship status change on Facebook? Read this story from “Facebook Leftover” and feel free to share your own. My ex-boyfriend and I are both on Facebook. While we were still together we became friends on Facebook. After our break up, we decided together that we would remain friends. We both removed our status on Facebook from ?In a Relationship? to no status at all, hoping people wouldn’t make a fuss about it. The problem is, I can?t help but look at his status updates. I still have strong feelings for him. If I de-friend him, I might hurt his feelings and may never have the chance to get back together with him. Now, I?m the one who is feeling hurt. He recently changed his status to ?In a Relationship? and I know it?s not with me. He?s moved on and is dating someone else and I haven?t. Why does this hurt so much? What should I do? There is nothing more powerful on Facebook than the relationship status change. Friends worldwide are obsessed when you change your status from ?Single? to ?In a Relationship? and then back to ?Single. Most people don?t really want to know why ?It?s Complicated? but they like to provide their comments regardless. 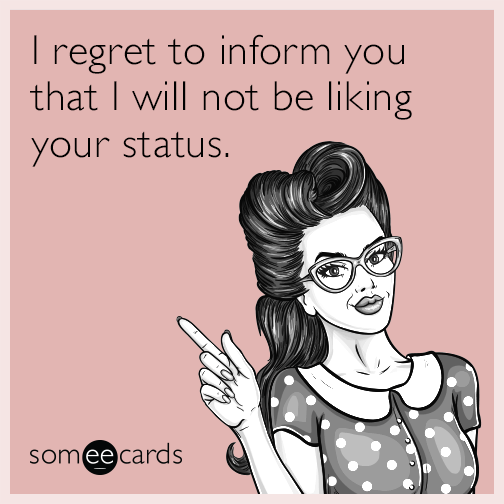 Friends who never comment suddenly want to know who you are in a relationship with when you change your status from ?single? to ?In a Relationship.? Even if you change from ?Single? to eliminating your relationship status entirely, some question whether you have done so because you have met someone. To get over your former facebook beau, here’s my advice: you MUST de-friend him. You can?t obsess over what is happening with him and his new sweetheart. If he is interested in getting back together with you, he knows how to find you. Every day that you hang on to the memories of your past and look at his life, you are wasting your precious youth. Sound harsh? I?m sorry, but de-friend him now. Don?t stare at his wall and start thinking about your future. Let?s start with putting your relationship status back on facebook and list yourself as ?Single.? Yes, you open yourself up to questions of ?What happened?? and ?So sorry it didn?t work out? comments, but you also allow the world to know that you are single. 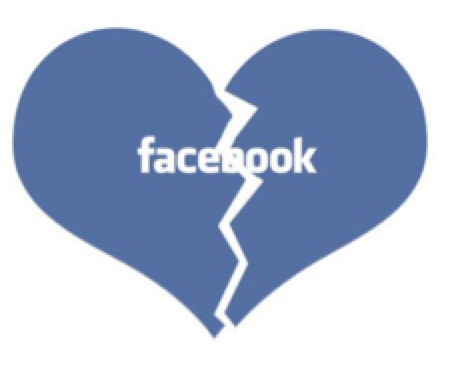 Perhaps a secret crush may see you as single on facebook and contact you. This is exactly how one of our Cyber Love Story of the Week featured couples met in real life. Other friends of yours may now think about fixing you up when they hear about a great single guy in town. I suggest you go from single without status, to announcing to the world that you are happy and available. It’s a free way to let your true friends lend a hand in your matchmaking activities and get over the guy who apparently has gotten over you. Keep me posted and best of luck.